The Dark Dagger moth is a common species found throughout much of the British Isle, becoming progressively scarcer further north and being absent in Scotland. It is also found throughout much of Europe including France and Germany. The adult moth has a wingspan of about 40 mm. 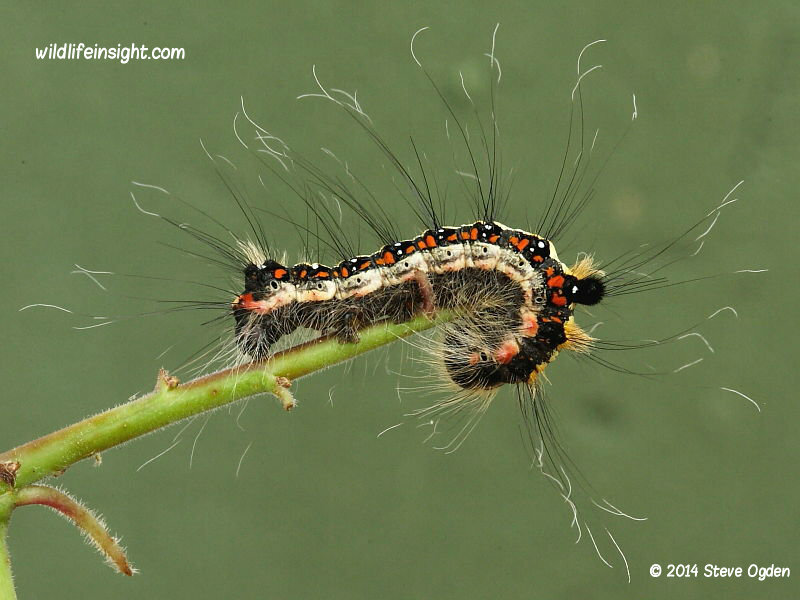 Without close examination the Dark Dagger moth is indistinguishable from the Grey Dagger, Acronicta psi. 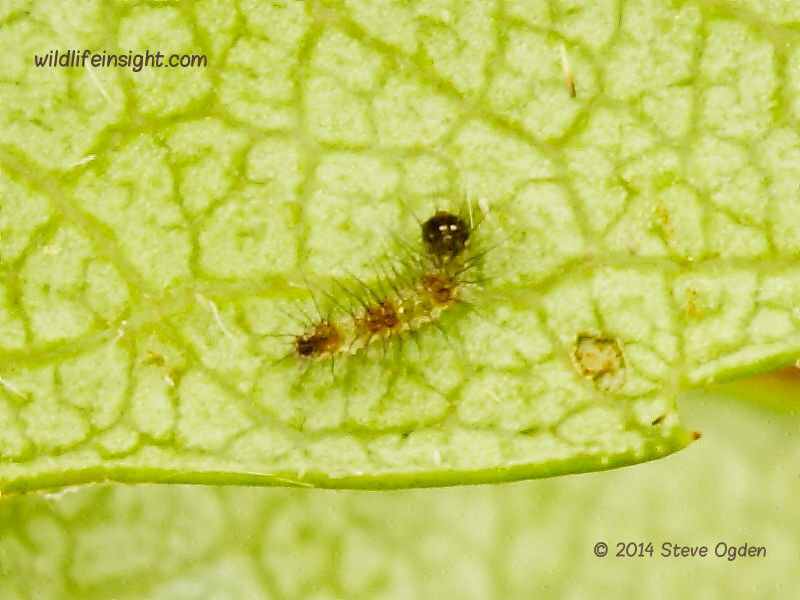 However, the fully grown caterpillars of these two Dagger species are distinctively different. 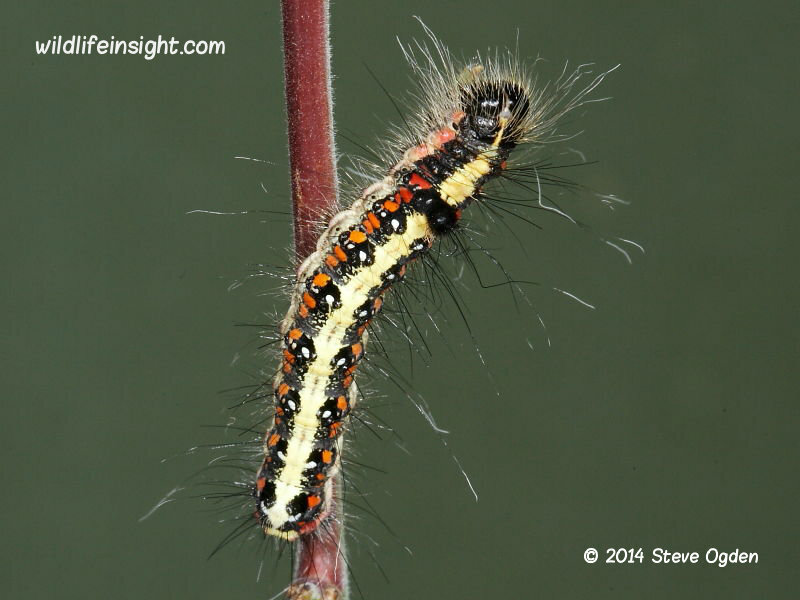 Many species of the Acronictinae sub family are referred to as Dagger Moths due to the black, dagger like streaks on the forewings of several species. 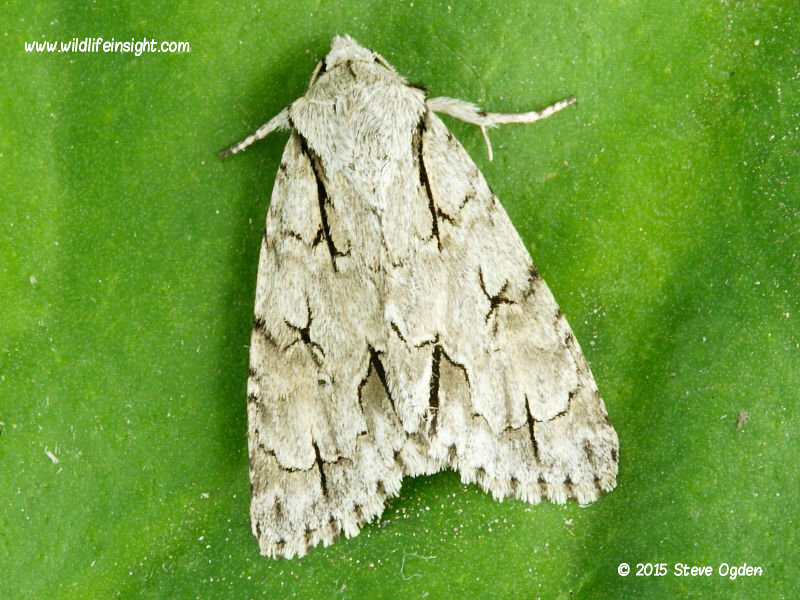 Other common Dagger species include common species such as The Miller, Grey Dagger, The Sycamore, Poplar Grey, Alder Moth and The Knot Grass. In the British Isles the Dark Dagger moth flies mostly in a single generation between May and June but may have a partial second generation in the south. 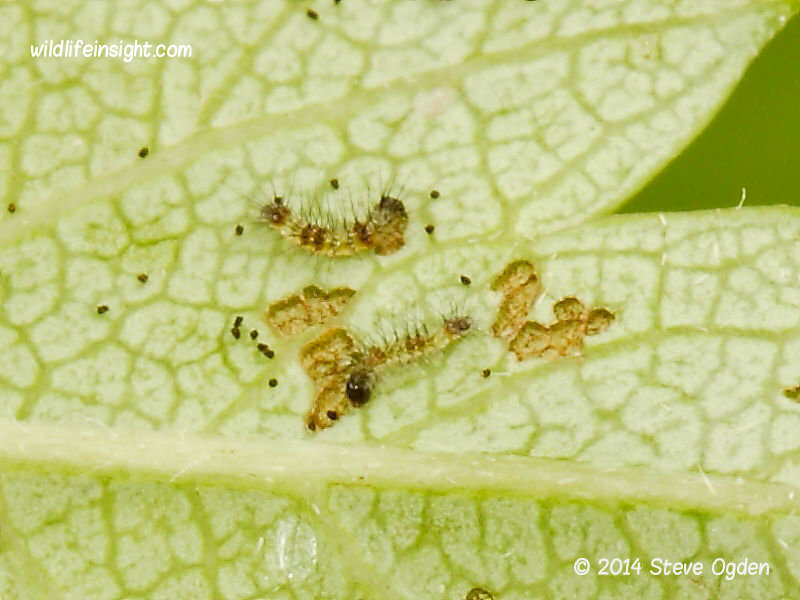 Eggs are laid on the larval foodplant and hatch within 7 days. 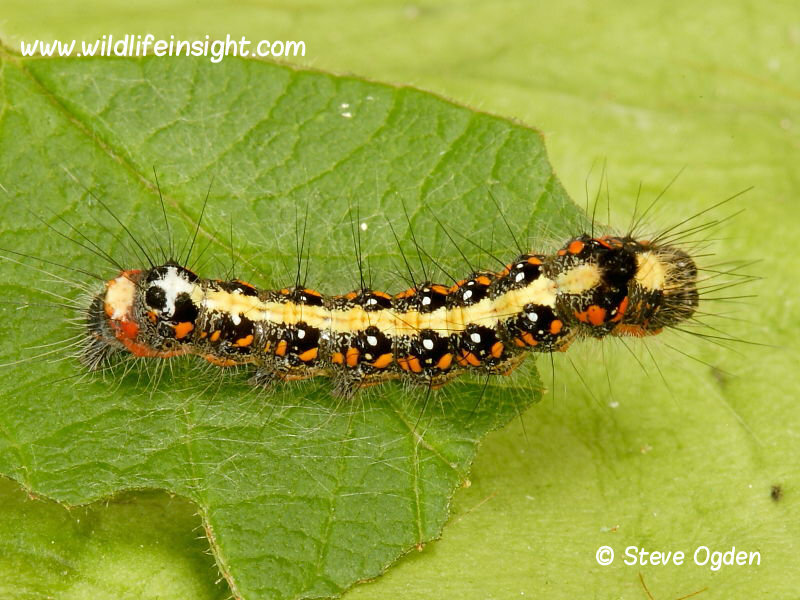 The caterpillars feed on a wide variety of deciduous trees including Oak, Blackthorn, Hawthorn, Birch and Elm. 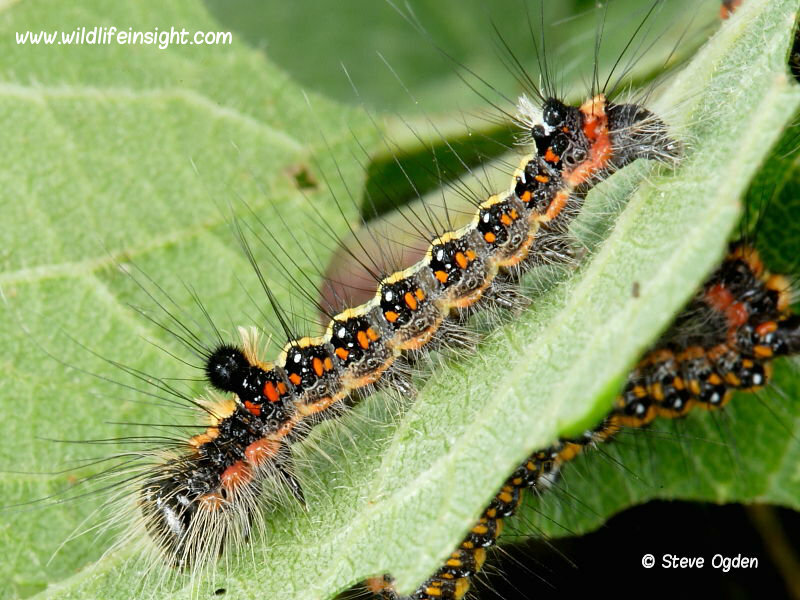 The caterpillars are fully grown in 30-35 days. Pupation takes place amongst the bark of trees with the pupae overwintering. The photographs shown are of broods reared from eggs laid by females attracted to light on the Lizard Peninsular by John Foster. The caterpillars were fed blackthorn and pupated readily on the underside of bark. Several batches of eggs laid by unknown species of Dagger were reared in the hope of recording the differences in development between the larvae of Grey and Dark Daggers. 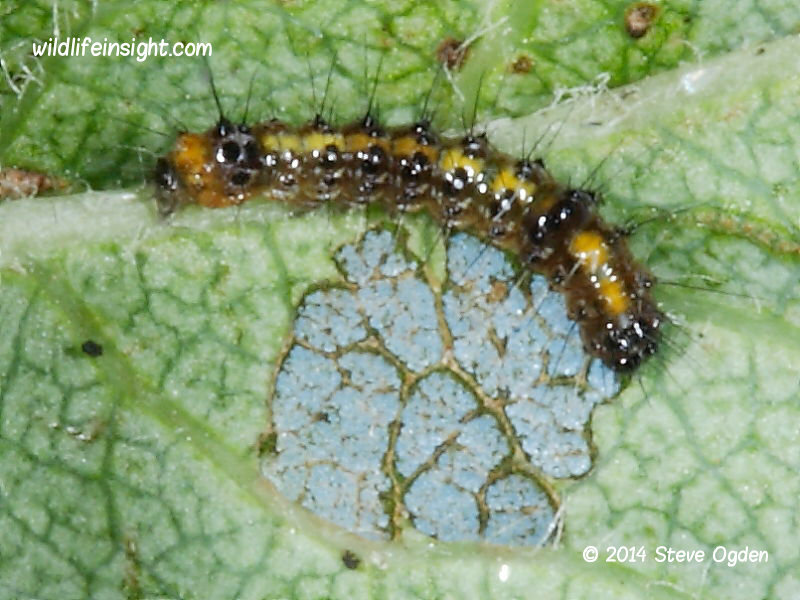 The photograph of the 10mm caterpillar is of a late second brood recorded on oak on the Lizard in Cornwall. 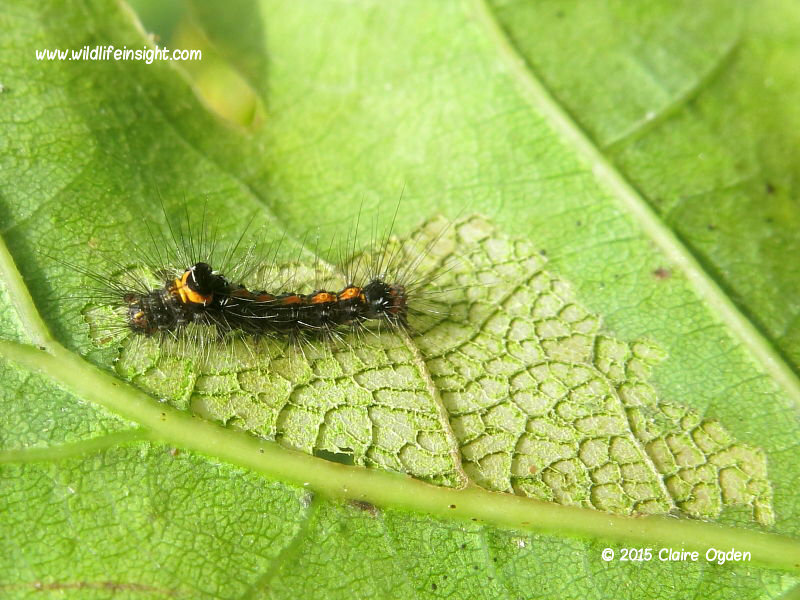 A less common form of the Dark Dagger moth caterpillar has the broad pale dorsal line broken with orange or yellow patches. Carolyn Way photographed the shown above in Normandy, France. Sue and Tony Bennett photographed the one shown left on their garden Amelanchier hedge in Somerset, UK. Many thanks for the many sightings received of this species. Other commonly found dagger species (Acronictinae) in the British Isles and many parts of Europe include the Grey Dagger, The Alder Moth , The Sycamore, The Knot Grass, Poplar Grey and The Miller. 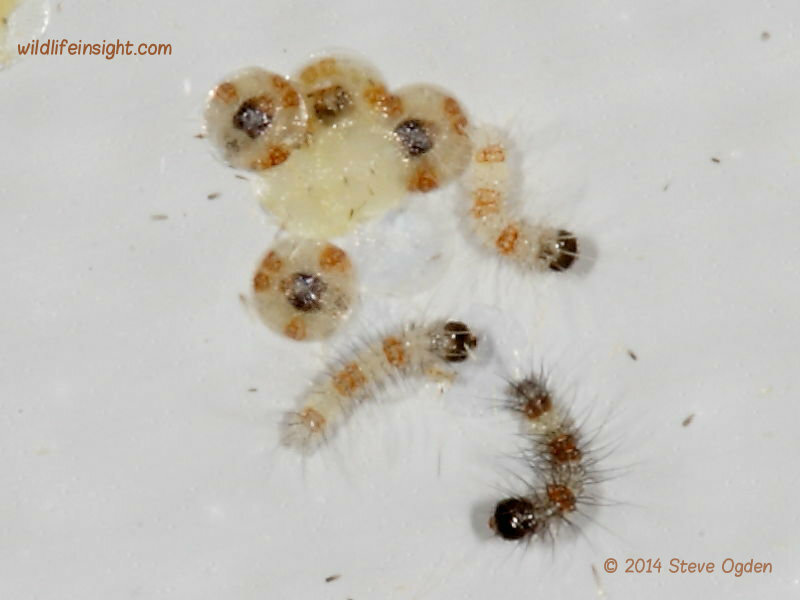 The pupae of the batch of reared Dark Dagger moth larvae were formed underneath tree bark. The over wintering pupae were kept in a cool outhouse and brought in during the Spring. Moths began emerging in the first week of May. Provisional Atlas of UK’s Larger moths – Hill, Randle and Parsons.